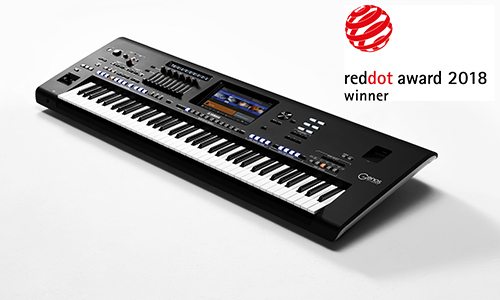 Yamaha Corporation's digital workstation "Genos" has received the Red Dot Award: Product Design 2018, a prestigious German design award hosted by the Design Zentrum Nordrhein Westfalen. After selection for the 2018 iF Gold Award, this is the second major design award received by "Genos". 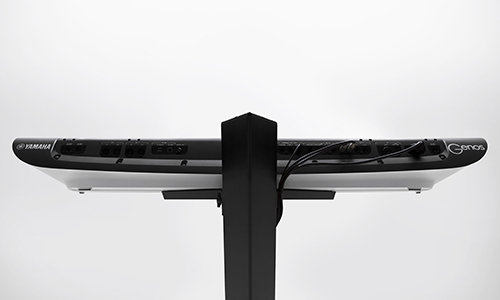 Genos is the new benchmark in Digital Workstation sound, design, and user experience. A variety of functions can be assigned to the six knobs and nine sliders, allowing for the needs of varied musicians and use cases. The Live Control view provides instant visual confirmation of your adjustments of the controls without interrupting the main display during the performance. The design consists of two key aspects: an authentic and logically composed control panel and a smooth, dynamically shaped lower case. The former enables the player to be fully immersed in the performance, and the latter creates an impressive silhouette on stage. The Red Dot Design Award (https://en.red-dot.org/) is one of the most highly respected design awards in the world, and comprises three categories: Product Design, Communication Design, and Design Concept. Each year, top-quality designs from around the world are selected for these awards. This time, about 6,300 items were submitted from 59 countries and regions around the world, and 1,684 items were selected for the Red Dot Award: Product Design.